Gee! I’m Glad I’m No One Else But Me! One week ago today, my mother and I took Sarah and Olivia to Prince Edward Island (PEI) for the day* to see “Anne of Green Gables”, the musical. It’s something I (we) have been waiting to do for many years. I am a voracious reader. According to personality tests, my number one strength is “input” – information. I read books, blogs, magazines, cereal boxes, etc. The best part of being on bedrest when we were having babies (I did the equivalent of a full year in bed during those eight years) was all of the uninterrupted reading I got to do. We didn’t have a laptop in those years, so my mother would bring me – literally – bags of books from the library which I would devour. I started reading the “Anne of Green Gables” series by Lucy Maud Montgomery while I was in elementary school and have read every book in the series multiple times. I watched the CBC television series as a teenager and saw the play at the Charlottetown Festival when I was about ten. Earlier this summer, my mom asked about the possibility of a girls trip to the Island to see the musical; we both knew it was the right year to do it as Sarah is 11 and Olivia is nine; perfect ages. We watched the weather and decided last week would be the day! We were lucky – the show was close to sold-out, but we were able to get tickets to the matinee. On Tuesday, my mom sent them a message inviting them, so they would have some time to get excited and anticipate the adventure. After, we headed straight for Charlottetown where we were fortunate to find a parking spot directly outside of Province House. My mom had packed a picnic for us, which we ate in the stands while watching the Confederation Centre Young Company’s “Voices of Canada” production. (Free weekdays from 12:45 – 1:00 until August 20, 2016.) We had seen it a couple of years ago, but Sarah declared this year’s a more enjoyable production. The Anne matinee began at 1:30, which was perfect timing. We went in and found our seats. I told my mom and the girls to watch out for my friend, Amanda, who was also supposed to be attending the show. Amanda & I grew up together in Truro, and she has stayed involved in music and now lives & works in Chicago after many years in New York City. Imaging our surprise when she, her huband, daughter (Anne! ), and mom sat directly in front of us!! We spent so much time chatting (and because I had turned my phone off in the theatre) that we didn’t get a photo. The show was amazing. Wonderful talent, songs I know every word to, fabulous sets, and wonderful choreography. I must admit, I shed tears a couple of times. After the show was over, we walked to our favourite pub, the Gahan House, for dinner. It was as good as always with safe food for Olivia, attentive service, and good beer. My mom & I each had fish tacos made with halibut, Sarah had a hamburger, and Olivia had a club – no mayo, made in a tortilla, with veggies on the side. My mom commented during the meal that she could certainly understand why we always eat there while in Charlottetown, as they were so good about Liv’s allergies. We went for a walk after supper to try to find the “2016” statue which the girls were disappointed to discover is no longer on the waterfront. We walked back up to Province House to at least get their photos taken on the 1864 statue before walking back to the car and heading home. Along the way home, we stopped at the cave by the train bridge in the Wentworth Valley to examine it. Of course, Sarah & Olivia both declared that was the best part of the whole day! All in all, our first girls’ day was a success and one that I hope our girls remember with nostalgia when they are mothers. 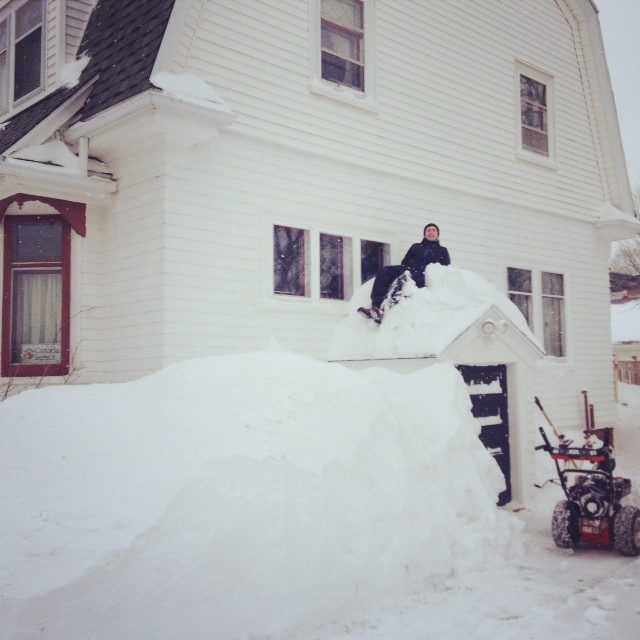 *We left our house in Truro, NS at 8:15am, and were back home by 8:30pm the same day. “As fire crews battle three wildfires in Nova Scotia the province is announcing measures to prevent additional fires. Natural Resources Minister Lloyd Hines announced that beginning at noon on Tuesday, Aug. 9, all travel and activities within the woods is restricted. This includes hiking, camping, fishing, and the use of off-highway vehicles. People can still access beaches and provincial parks, but trail systems will be restricted. These restrictions also apply to forestry, mining and any commercial activity on Crown land. Those who conduct commercial activity on Crown land will require permits which can be obtained at local Department of Natural Resources offices. Hunters and fishers will also require travel permits. Mr. Hines thanked forestry companies who have moved work to nighttime hours, which is between 8 p.m. and 10 a.m. He encourages all companies and private landowners to take this approach. Wildfires in Maitland Bridge, Annapolis Co. and Greenfield, Queens Co., are now totally contained and mapped at about 21 hectares and five hectares respectively. The fire burning at Seven Mile Lake, Annapolis Co. has not been contained and has grown. All available resources, including planes from other provinces, continue to fight that fire, which is about 140 hectares. “On behalf of all Nova Scotians, I’d like to thank our dedicated firefighters who are working around the clock to fight these fires,” said Mr. Hines. With no rain in the forecast until the weekend, the risk of additional fires is just too great. As we sit here, buried under mountains of snow, our thoughts turn to warm weather and escaping to other destinations. We know that others are doing the same thing because we are finding inquiries and bookings in our inbox and the calendar is starting to fill. We have been experiencing some difficulties with our Eastlink email account; receiving emails, but having difficulties sending for some reason. As a result, we have made the decision to change our email address, something we have contemplated for a very long time. This will be a gradual process, as we’ve been using our Eastlink email on all of our marketing materials since 2002. We’ll be checking both, but our replies will now be coming from: BelgraviaBB@gmail.com from now on. Once we are certain the transition is complete, we will cease using our Eastlink address, so please update us in your contact list! Have you started planning your trip yet? Our son Alex has been rehearsing with Spotlight Theatre, a local community youth theatre group, for the upcoming production of “Who We Are”. This musical was written and is being directed by local talent, Margot Begin-Gillis (also director of the Truro Dance Academy where our girls dance). 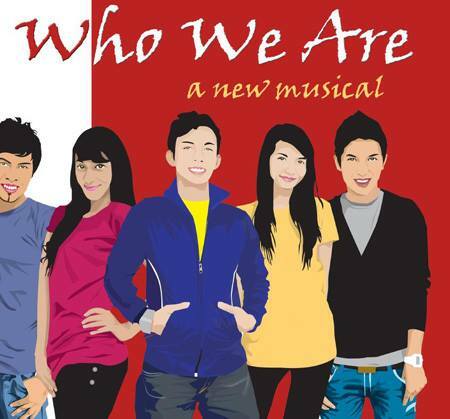 It features songs from a number of different musicals as the characters explore many challenging life issues. The show will be performed on July 19th at 7:00 pm, and July 20th at 2:00pm. and 7:00 pm. Tickets ($17) are available at the Marigold Cultural Centre Box Office. We hope to see you there! The following article was originally published in The Chronicle Herald, the Nova Scotia Provincial newspaper on Thursday, September 20th. Written by Staff Reporter, Clare Mellor, please click here to link to the original article. Special thanks to Penny, of Mariner Cruises Whale and Seabird Tours, located in Briar Island, Nova Scotia, for the fantastic photo! It was like hitting the whale-watching jackpot. An orca, or killer whale, not commonly seen in Nova Scotia waters, put on an hour-long show Tuesday for a whale-watching tour boat off Brier Island. “It was a pretty amazing sight to see,” Roy Small, who captains the Island Link for Welcome Aboard Whale Watching Tours on Brier Island, said Wednesday. The last reported orca sighting in the Bay of Fundy in Nova Scotia was about two years ago, Small said. “This is the very first time I’ve seen one,” he said. Small, his crew and roughly 10 passengers had been on the water for three hours Tuesday and had already been treated to sightings of several humpbacks, a fin whale that was surface-feeding, a minke whale, dolphins and porpoises. The boat was about 12 kilometres northwest of Brier Island watching a group of about six humpbacks when a passenger spotted an unusual fin nearby. Crew member Tania Campbell was up on the bow when she heard Small shout. “All I heard was, ‘Holy smokes. I think it’s an orca!’” Campbell said Wednesday. Small said an orca’s dorsal fin is very distinctive. He said the male orca measured 7.5 to nine metres and was travelling alone. Small, who has also been a lobster fisherman for 22 years, said he has not done much reading on orcas and wasn’t sure what to expect. 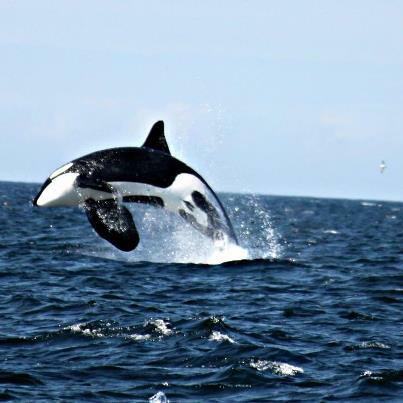 Hal Whitehead, a biology professor at Dalhousie University who specializes in the study of whales, said orcas are not often spotted in Nova Scotia waters but are more frequently seen off Newfoundland and Labrador. “They are pretty rare around the Maritimes in general, but they are seen from time to time,” he said. Campbell said she felt a little shaky when the orca made such a close approach. The orca breached, or leaped out of, the water three times, and Campbell was happy that she managed to snap a photo of the unusual sight. Small radioed another whale-watching boat nearby so its passengers could also have a chance to see the killer whale. “I think the other boat got a pretty good show too,” Campbell said. Small said it seemed a shame to finally have to call it a day. “Nobody wanted to go in. We all wanted to stay and keep watching it. 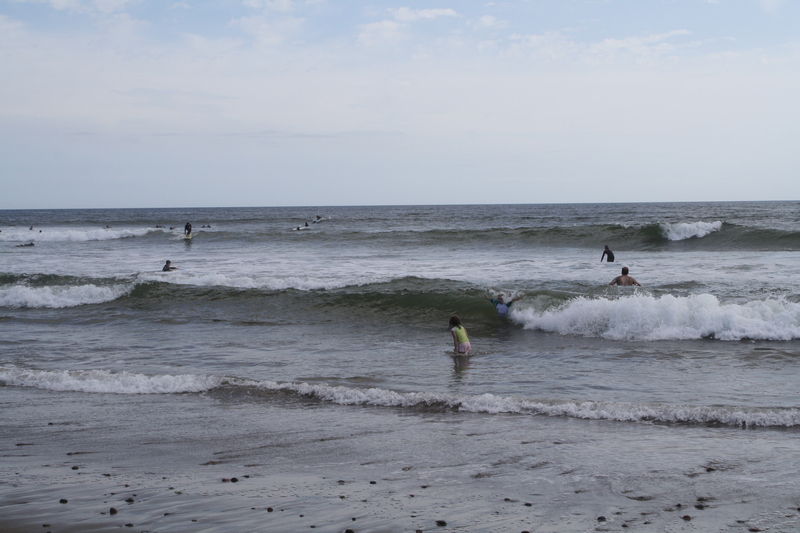 Surf’s Up in Nova Scotia! 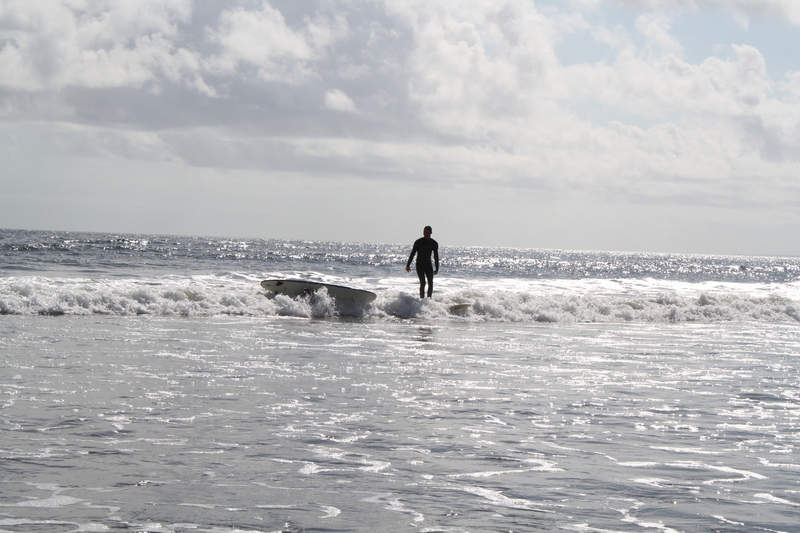 Last March, when our son Evan went on a school exchange to Brazil, one of his favourite, most memorable activities, was the surfing lessons he took. 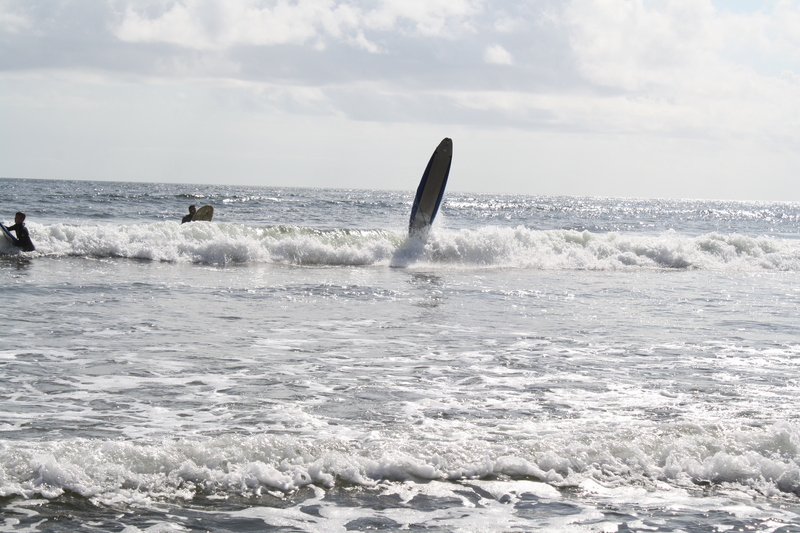 Proclaimed “a natural”, he was anxious to continue surfing in Nova Scotia. 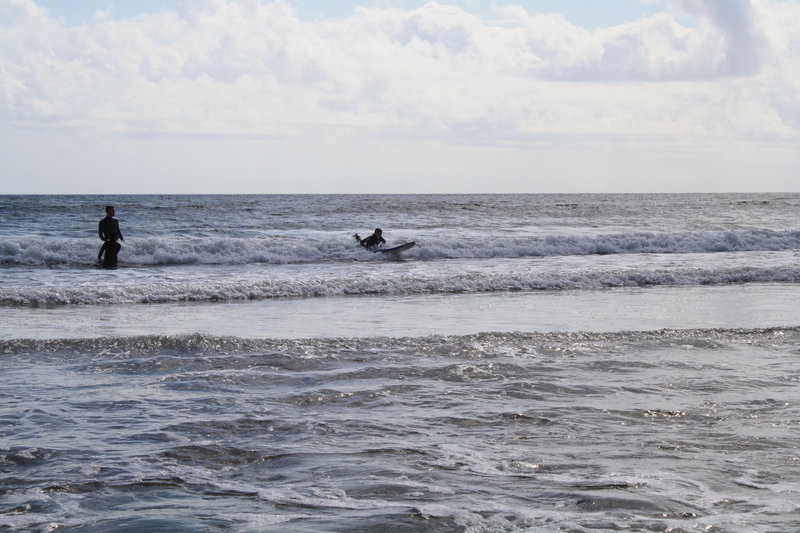 We warned him that surfing in Nova Scotia would probably be much different than surfing in Brazil, but he was keen to try. 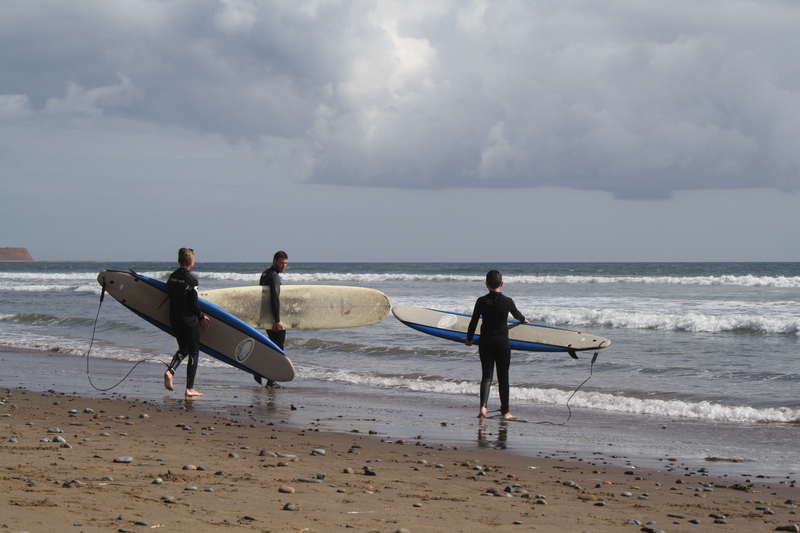 His 14th birthday coincided with back-to-school for D’Arcy and me, so we promised him that we would treat both him & his brother, Alex, to surfing lessons before the end of the season. 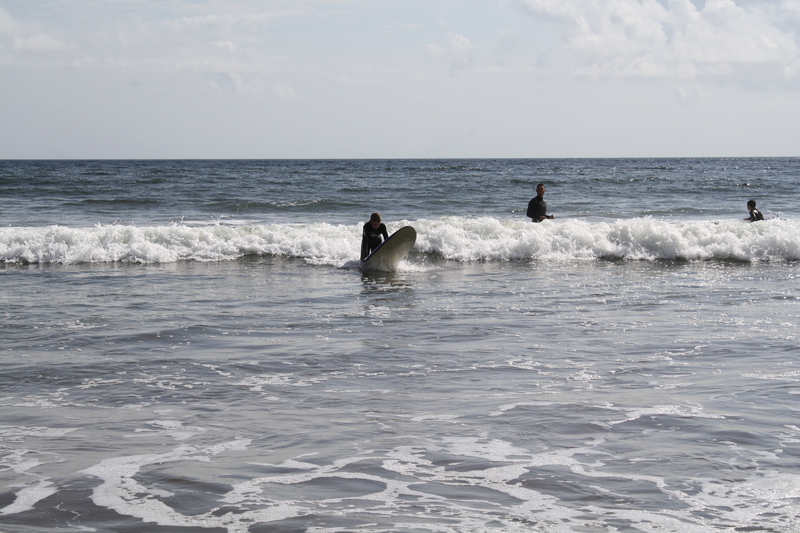 Last weekend, with Hurricane Leslie approaching up the Atlantic Seaboard, the waves had been churned up and conditions would have been too wild for our beginners. This weekend, Saturday dawned bright and beautiful and calm. I made a call to Nico at the East Coast Surf School to see if there might be a possibility of lessons for the boys at the last minute. We had a full-house on Friday, so arranged the lessons for 2 p.m. which would give us enough time to get the rooms changed over. We called my parents and they were happy to come over to welcome guests until we returned. D’Arcy, who is very comfortable in the water, growing up sailing and being a certified scuba diver, was slightly disappointed I hadn’t booked him into lessons as well! They had a great afternoon, trying to master the art of “hanging ten”. The best part was that when their lesson was over, they had the use of the boards & wetsuits for the rest of the afternoon. 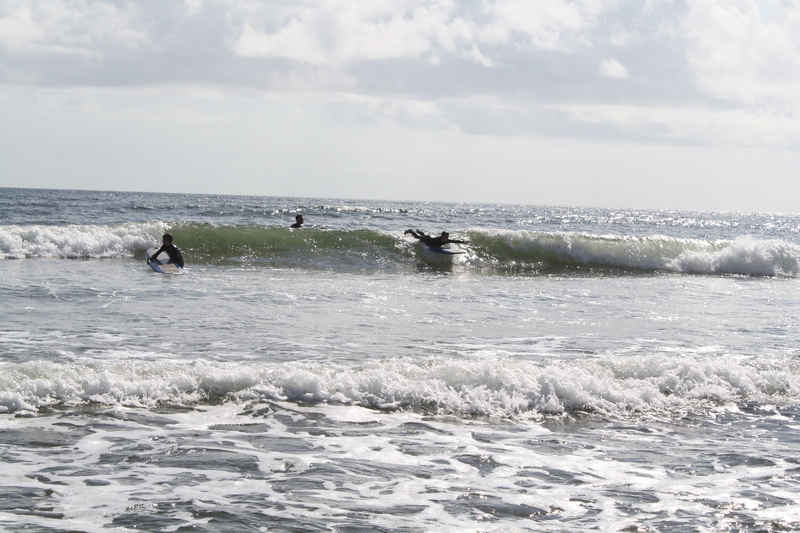 D’Arcy even tried to surf a couple of times while Evan was taking a breather… I can see that we’ll definitely be trying this again next year! 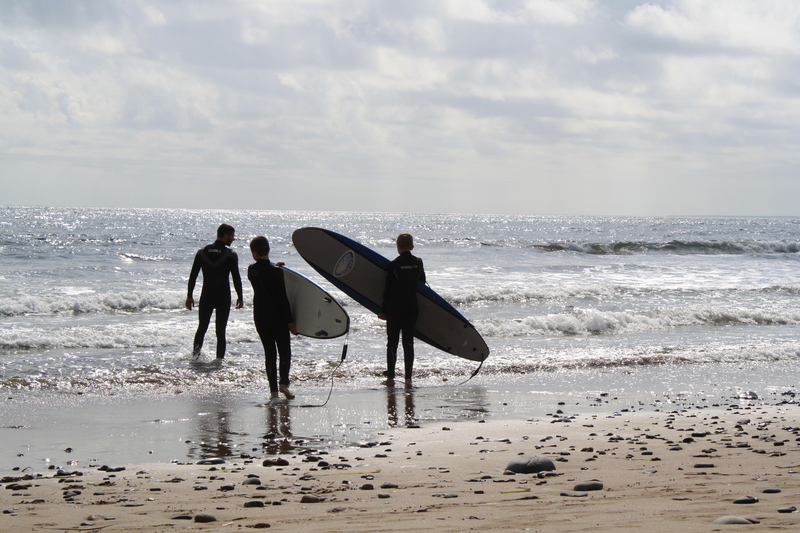 It’s only a 1 hour and 22 minute drive from Truro to Lawrencetown Beach where there is year-round surfing – an easy day trip from the Belgravia Bed & Breakfast. 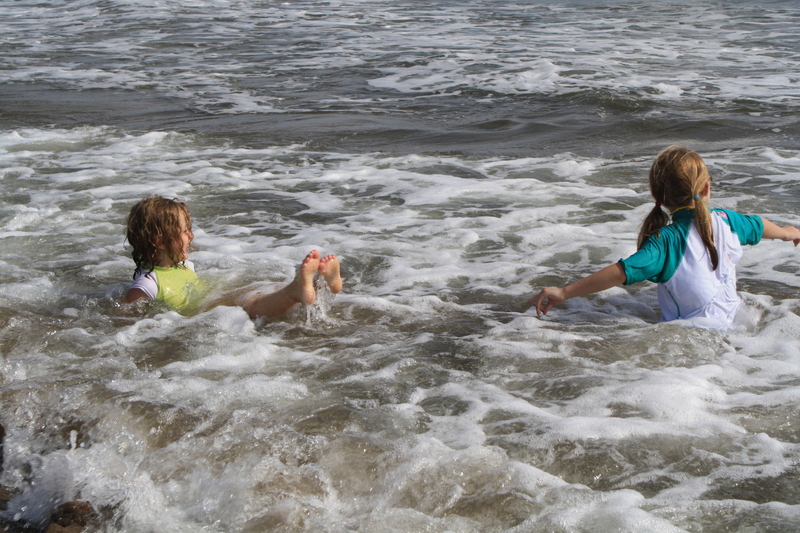 The girls kept themselves occupied while their brothers were at their lessons by playing in the surf. So much fun to watch – even more fun to do (from what I’ve been told)! 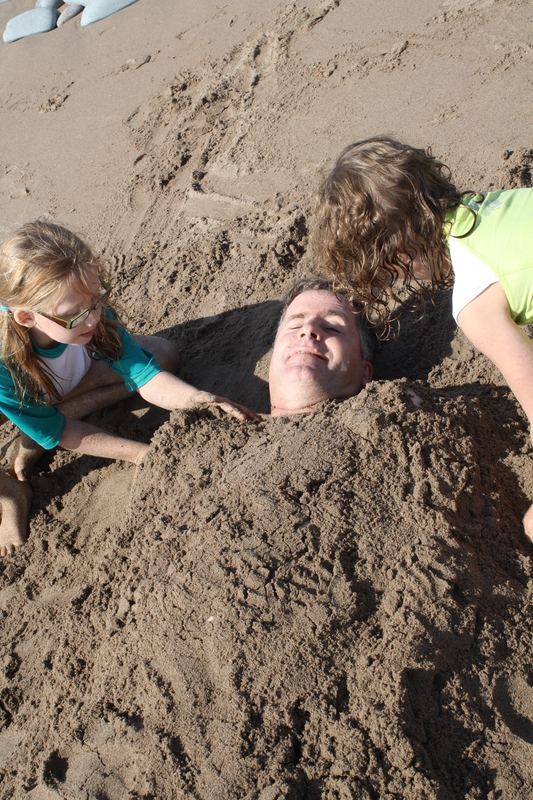 The girls have fun burying Dad in the sand.